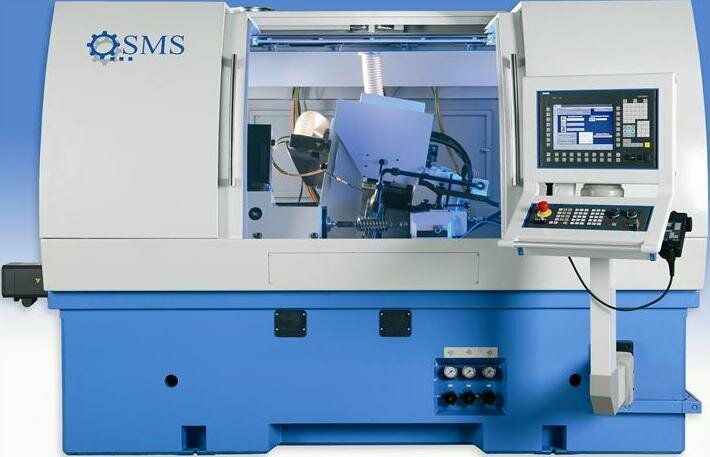 For resubstitute quite ill-suited machine SG500-H with 8 axes controlled from CNC. I have the plant it is used for grinding hobs. Little about the machine from the passport resubstituting Frame of the machine, made of synthetic stone and leveling feet for installation of the machine Axis cross movement of grinding head X, controlled from CNC. The movement is on two flat rails with pre-loaded linear roller bearings. Driven by ball screw. The longitudinal axis of movement of the work table of the workpiece Z controlled by CNC. The movement is on a monorail rail with pre-loaded linear roller bearings. The drive from ballpoint helix. The Axis of rotation of the workpiece, operated from the CNC. Centre height 125 mm. Hydraulic rear center of the pedal. Centre height: 125 mm. the Device changes, controlled from CNC (axis V-/W-). Automatic compensation for flow changes. Possibility of installation of the ruling tool. Grinding spindle power 15 KW, with infinitely adjustable speed and maximum peripheral speed 45 m/s. The U-axis, positioning the nozzle the flow of coolant with automatic compensation of grinding wheel wear. A hydraulic unit. Full enclosure of the machine. Protective box for a cord between the machine and electrical Cabinet. Control panel on the swivel bearing, intended for entering data into the machine. CNC system Siemens 840D. Electronic flywheel. Resubstituting machine SG500 has a very compact, rigid, vibration-proof and heat-resistant design. The machine base cast in concrete based on epoxy polymer, the carriage and the rack is made of cast iron and moved by means of roller bearings. 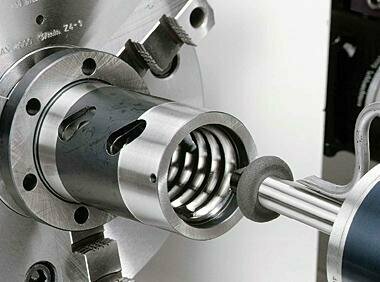 The working spindle, having a hollow shaft with precision bearings and encoder directly mounted and adjusted mezzasoma worm shaft, ensure the highest precision machining. The carrycot can be automatically rotated to the desired angle and fixed. 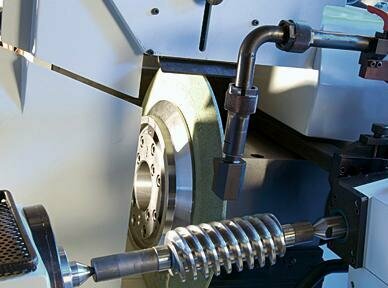 Using two-axis straightening, mounted above grinding wheel, can change approximately all kinds of profiles. Grinding spindle hardware precision roller bearings and has an integrated balancing head, which allows to achieve a high quality finish. 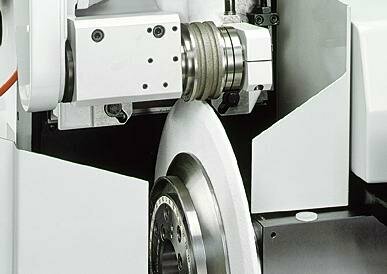 For the relief grinding of cutting tools resubstituting the machine is equipped with an additional servo axis that directly guides the spindle Assembly radially to the workpiece. Grinding precision threads, such as worm pair, requires high-accuracy screw pitch and profile. This is achieved with modern machine concept with advanced actuators, powerful control system and software with the possibility of adjustment and modernization. Resubstituting machine is mainly designed for the finish sanding, but due to the rigid construction and powerful main engine that may be running and other activities. 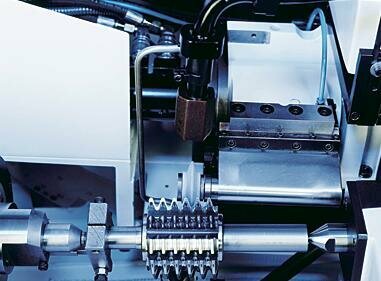 For grinding of tools such as gear cutters and taps, and requires a very complex kinematics of the machine, through which even at high speeds and feeds should be provided with high accuracy. To achieve this, resubstituting machine is equipped with a special backing system consisting of lightweight axes for moving parts by mass compensation, to prevent vibration. For grinding hobs and taps used mini spindles of different sizes that can be mounted on the rotary mechanism, which moves the grinding wheel from working position to the grinding position changes. it is Possible to grind a tool from HSS or carbide with the same level of quality. For grinding internal threads statburnt to be equipped with a special a node with high frequency motorspindel. various sizes Available grinding spindles. the worm (ZA, ZI, ZK, ZN, ZC and Duplex), lead screws, ball screws, rolling dies, thread gauges, thread fasteners, worm steering gear, the rotors of the compressors. Ring thread gauges, steering nut, nut ball screws. Model SG1000 and SG2000 are suitable to handle long threads, such as ball lead screw. 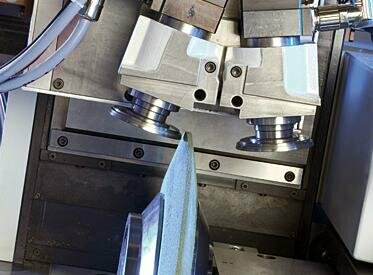 For processing long workpieces steady rests are used to prevent runout. Supreme flexibility can be achieved by means of CNC grinding wheel. Can be used by various ruling tools and accessories. This resubstituting machine works in the tool shop, I think if it will suit you. If you have any questions write happy to answer.